Experienced Business Analyst and Test Analyst. 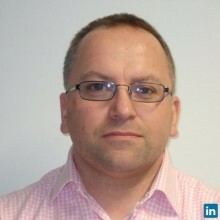 I have worked in Life & Pensions, Investment Banking, Commercial and Retail Banking and Utilities. Specialties: System, UAT, Regression, BAT and Defect management. Highly motives test lead looking for a new contract work. Functional, Regression and UAT Test Consultant. Providing offshore business and testing consultancy to an MS Dynamics AX programme in Australia. Training SMEs in UAT scripting. Providing business and test consultancy to support to project team to ensure delivery of integration on systems identified and to assure the banking processes work post implementation. Worked on FNZ Wrap project in a Test Analyst / Business Analyst role. Designing, developing and testing new business functionality for the Wrap Proposition. Create and execute Test Plans for assigned projects. Identify and escalate to QA/Test Lead project risks impacting testing delivery schedule, product quality, project and business goals and objectives.